I've become a plant hoarder. 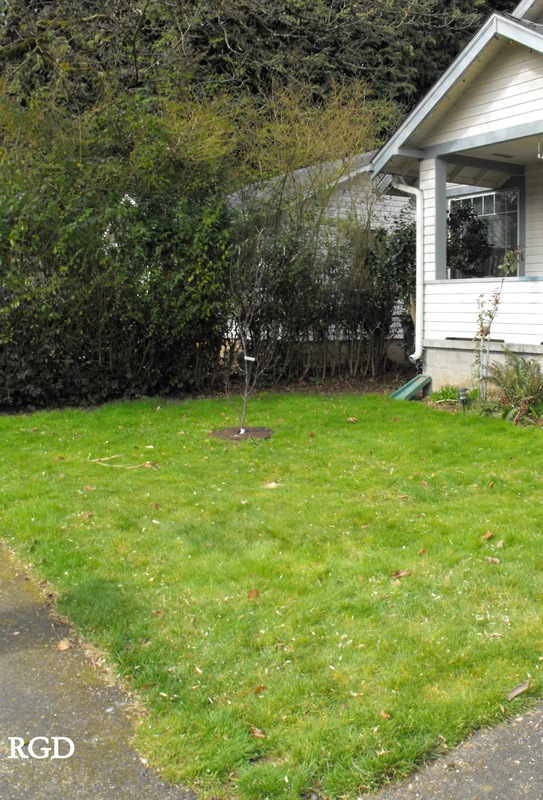 I see this moderately large patch of grass in the new house's front yard and I envision a much different looking landscape. I see the nasty English laurel hedge trimmed and managed. In my minds eye I see the front grass ripped out. I mean, all of the grass ripped out. 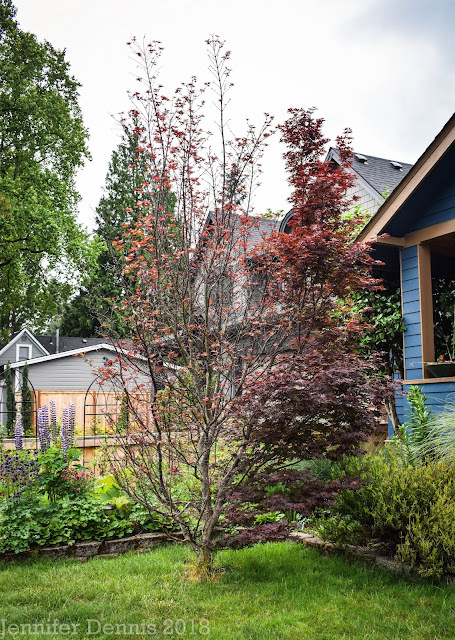 I envision yards of fresh dirt dumped and then raked out with spots of height for dimension, carefully tiered. So, I can't help myself when I visit a nursery. I mean, let's be honest. Some of the plants I want, surely are only going to be available now. And, certainly there is a better selection as the new arrivals pour in....now. You see, I have myself convinced that I am in the right frame of mind. I'm dreaming of the day when I can begin to tear out the lawn and put these pretties in the ground. 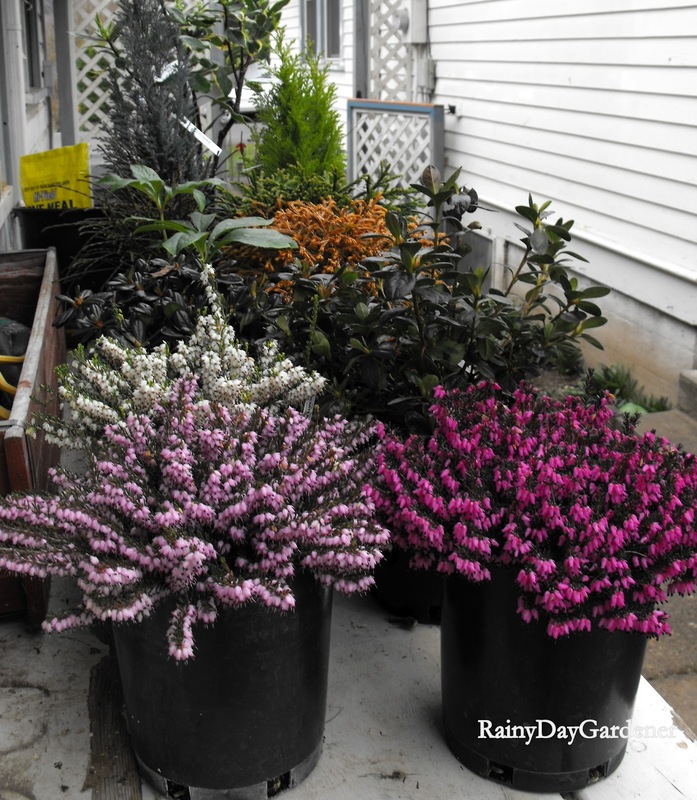 Winter Heather Erica Carnea (darker to magenta), Mediterranean Pink and Mediterranean White. And another dwarf conifer that I sadly didn't get the name of, something from the cedar family. 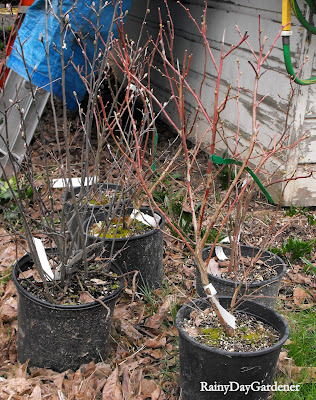 I have already planted two varieties of Japanese Maple last fall, as well as a combination apple tree. 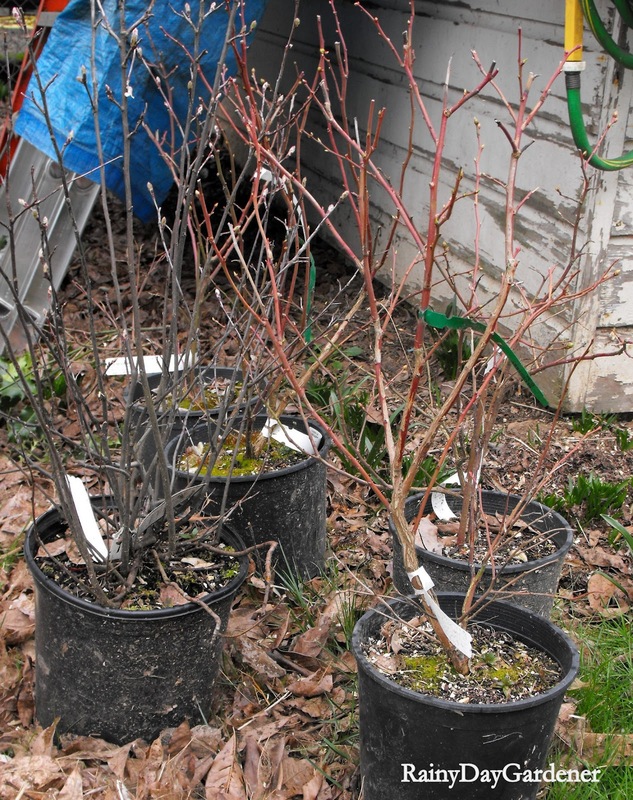 I have a combination pear tree, service berry and blue berries to plant soon in the back yard. The front yard is part sun and will be perfect for so many of the pretty plants I have in my current home. They're coming with me. Dreams and plans while scraping paint and wallpaper. Bless your heart. Pretty soon you'll have a lovely home inside, with lovely gardens outside. Hang in there. Keep on dreaming and planning and it will become reality. Thank you FL! I am dreaming away! We have a daphne flowering at the moment which we didn't plant - the birds did! You're going to need lots of plants to fill all that space and the heathers look lovely. Oh, I laughed out loud truly at your first sentence "I am a plant hoarder." That is me to a T. I have a bunch of plants sitting on my patio that I never got around to planting last fall, and now I am starting a brand new collection for my new garden area. You found some wonderful plants, I love heathers! You do know you don't have to take out the grass, right? If you do lasagna beds, you can leave the grass, just cover it with cardboard and lots of compost materials, and it will turn into a basically weed-free bed very quickly. I did a lasagna bed in my old house, and it worked really well. Hey Alison, I've thought about the lasagna bed for the front yard, but I'm concerned about wanting to put in border stones and do some more sculpted edges and create a tiered system. Hm, this is a good point to ponder. Wow, you have lots going on there! I like your ideas for the yard. I have been doing some self talk about not getting so many plants this year, and actually dividing some to move around. We have a loan I want to get paid off so I can have more options as to when I can retire. I hear ya Sue! 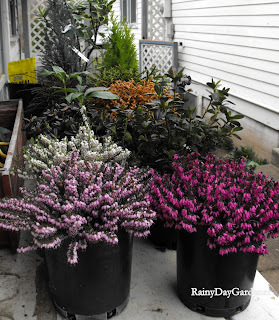 I have many plants that I will be dividing or digging up entirely in my current home. 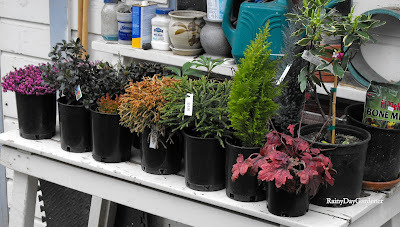 I want to be careful with my few $$'s to spend on plants. Yes, yes, yes! Oh, I agree - you need to buy now! These things aren't available in the fall. And I know you'll be through painting eventually, and getting that grass out will be next - and putting in all those plants you're hoarding! Rent a sod cutter - you can get it out in a day (if you have a helper with some muscle!). I hope you have fabulous soil! Kudos to you for buying them when you see them! Just think how much worse the scraping and slaving away indoors would be if you didn't have all those happy plants outside! Rigtig gode billeder af alle dine planter. Ha` en god søndag aften. I can totally see those beauties adorning your sans-lawn front yard. Your before and after photos are going to be priceless. I'm so glad you got a Daphne. That scent is to die for. I think you're smart to be buying them when you see them. I started doing that last year before we started our front yard project. It gives you hope that you'll get it done it eventually. At least the weather is bad while you're doing the scraping and painting and hopefully by the time you're done the weather will be nice. When you love the outdoors it's so hard being inside! Sounds like your itching to get out! Hope the inside work goes quickly. There's plenty of time for the outside.